I really must try something by Jill Shalvis...I see her books everywhere. I also had a similar reaction as you to Love in a Nutshell. I love Shalvis! They're just great contemporaries. The Nutshell was a good listen but definitely won't be on my top ten list anytime soon! Ah routines...adjusting is so hard! I really need to add Jill Shalvis to my reading list, I have a feeling I will love her books. I loved And Then There Were None. Hope the week is a good one! I think you will love Jill Shalvis! Her books are so fun with such great characters. The Girl In The Glass sounds really interesting! I hadn't heard of it before but I'll definitely be checking that out. Welcome to the Post! I'm excited about The Girl in the Glass. It looks really fun. It's always nice when you get to read more about a favorite character! And a radio version of Christie- seems like that would be kinda cool. Maybe add a little atmosphere to it- if I were going to read more of her that would probably be the one I'd go with. And Then There Were None is fantastic and Iiked the radio production though I definitely recommend reading the book first. The production is a bit condensed and it could get confusing. Radio version of Agatha Christie sounds good, reminds me of when I was young sitting around the radio (pre TV!!) and listening to books on the radio. I love the Animal Magnetism series, still have the previous one to read and also have this one from NetGalley. Must make time for both! I really enjoyed the Agatha audio and really wish there were more. I enjoyed the last book in the Animal Magnatism series. The characters were great and really unique. Ahh, gotta love those authors you love enough to not even read the blurbs for their books. I know how you feel. I only have one child, but now that he isn't around ... it's weird having a routine that doesn't totally involve him. Enjoy your books and have a great week. It is! It's taking some shifting to get used to less kids and next year when we are down to one is going to be crazy! Ouch, my long com just vanished in the air ! I'll be reading Jill Shalvis soon, can't wait. I've never watched Criminal minds but now I think I will - and I love Gary Sinise ever since I saw him in Of mice and men. Enjoy the weekend with the Tornado, with a nickname like that, he should keep you busy ;) Have a great weekend ! Oh I hate it when that happens! The Tornado is nicknamed the Tornado for a reason. The boy is all energy! I like Criminal Minds though they've had some beyond crazy episodes and I'm a big Gary Sinise fan as well. When I see a favourite author, I just grab their books too without a second thought for what the book is about! Your dance dvds sound fun. I'm liking it a lot! Thanks for the push to get back to exercising. It feels great to be trying to get back into shape. Oooh I love And Then There Were None, it's a great read. Have a great week! It's one of my favorites and listening to it has been really fun. Glad you're enjoying being back in a routine! I know that feeling! I'm the same with certain authors - I'll read almost anything they write. Their novels might only be solid 3-stars but I know I can count on them to deliver something entertaining and sometimes that's all I need! Exactly! I have a few mystery authors that I know I'm going to enjoy it. They aren't perfect and some have had some plot holes but they just work for me. I really want to read more Janet Evanovich books I have read a few in a series of hers which I just can't remember what it was called but really enjoyed them. I haven't read Jill Shavis - ok, putting it on the list. And Then There Were None is one of my very favorite books by Christie! I think listening to it would be a really great experience. I also have Threads of Evidence waiting on my kindle but I haven't gotten to it yet. Just so many books and not enough time. Hope you have a great week and enjoy all of your current reads! Oh I can't wait for the routine and a clean house :) I still have a week my little one starts on the 2nd and the big one starts on the 8th. It will be nice to be home now and not have to head down the shore every weekend, not that I am complaining, but it is a lot to pack up and leave and come back just to go to work. I wont have empty nest for quite sometime but I am not looking forward to it, I rather enjoy the chaos. 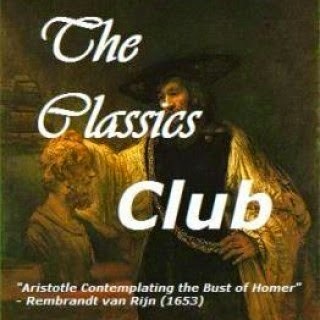 The Christie radio drama sounds really interesting, I would love to hear your thoughts on it once you finish it. I'm hoping it won't be too hard for me to readjust to a new schedule when school starts up again for me at the end of the month. Have a great week! LOL you didn't even read the blurb. I love it. It's fantastic when you have an author that you love and trust that much. Your house really is emtpying out but you'll have the Tornado for a while yet. Silly question, but do you use your albuterol before starting your exercise? It should be used 10-15 minutes prior to exercising, unless your doctor has said otherwise. A routine and a clean house, those feel so good, don't they? Enjoy! Glad you are enjoying the Agatha Christie radio drama. Here's hoping that your audio experiences are all good ones. Criminal Minds is one of my favorite shows. My husband prefers NCIS, but I like the profiler stuff. Looking forward to seeing what Gary Sinise can do the FBI angle too. Have a good week!! Jill Shalvis books are always fun reads. I'm listening to Second Chance Summer now. The pilates sounds great! We've had an empty nest for a while so I'm used to it. I think once you get there you'll be ready :) Have a good week! I don't watch tv at home but when I visit my folks, I usually watch with my mom. She watches Criminal Minds (among other shows like that) and I was seriously worried about my mom becoming a serial killer b/c she loved that show! Now there's a spin-off, ugh! She probably loves Hannibal... I'll have to ask ;) She's a quirky one, that mom of mine!!! I always see Jill Shalvis books, but have yet to try one. Hope you have a great week coming up! I hope you enjoy the Shalvis book! The Girl in the Glass sounds like it will be really interesting. It's good that you are getting back into the exercise routine again--I need to do that as well. I seem to have more starts and stops than any consistency. I feel so much better when I do exercise regularly. I just need to remember that. I'm looking foward to no more swim lessons this week. LOL We also saw the end of the soccer season this past Saturday. Mouse has decided she wants to try something different, and so we'll see how that goes. I think we're all excited about the change though. I hope you all have a wonderful week! Oh, Criminal Minds. It's definitely a bit creepy. I know how you feel about being back in school. 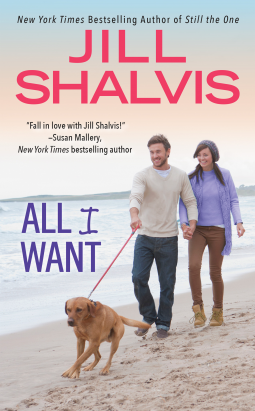 I requested All I Want by Jill Shavis and we'll see if I get it. I really need to increase my percentage on NG of reviewed books. Hope you have a great week and thanks for stopping by! Oh The Peach Keeper. Definitely look out for your thoughts on that.